What’s that stitch? Is it crochet? Is it knitting? That’s what your friends will ask as they study your minifinity scarf. Actually, it’s broomstick lace. I’d always wondered what broomstick lace was, and then when someone told me you made it using a large knitting needle and a small crochet hook, I became even more bewildered. How could that possibly work? Then a customer came into my shop and she was working on a broomstick lace top. I watched her doing it, and it was amazing! Broomstick lace (named for the broomstick artisans would use to make the lace before enormous knitting needles were available) is very closely related to crochet. 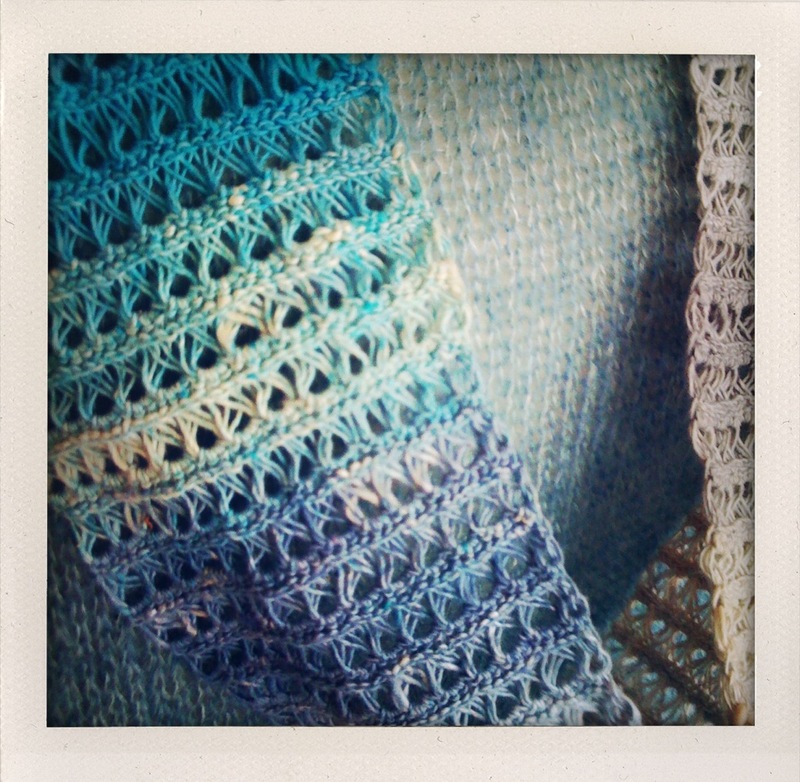 If you are comfortable with crochet, broomstick lace is a cinch. 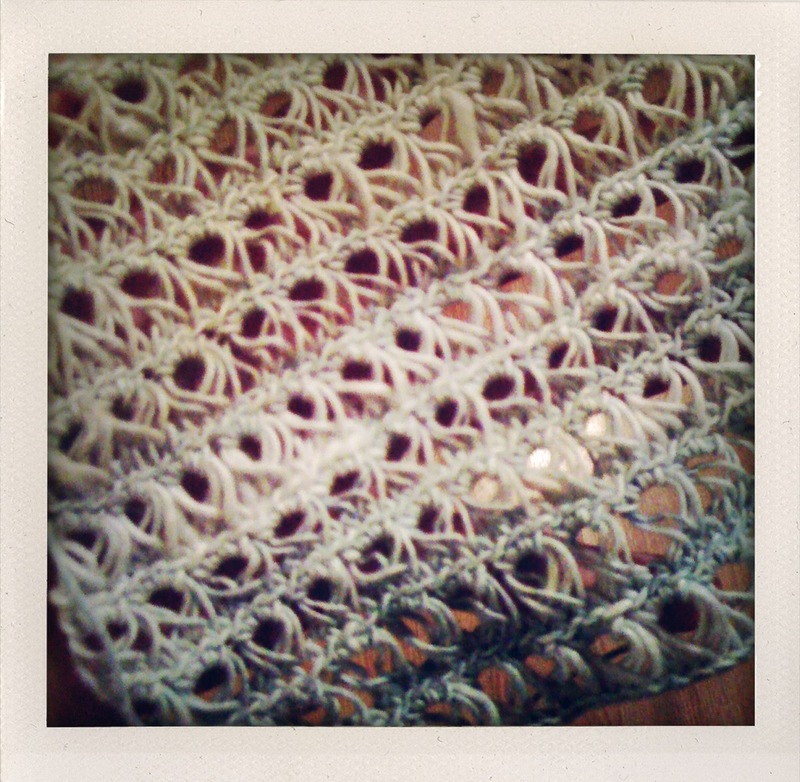 However, if you have never crocheted before, I’d recommend learning crochet before jumping in to broomstick lace. 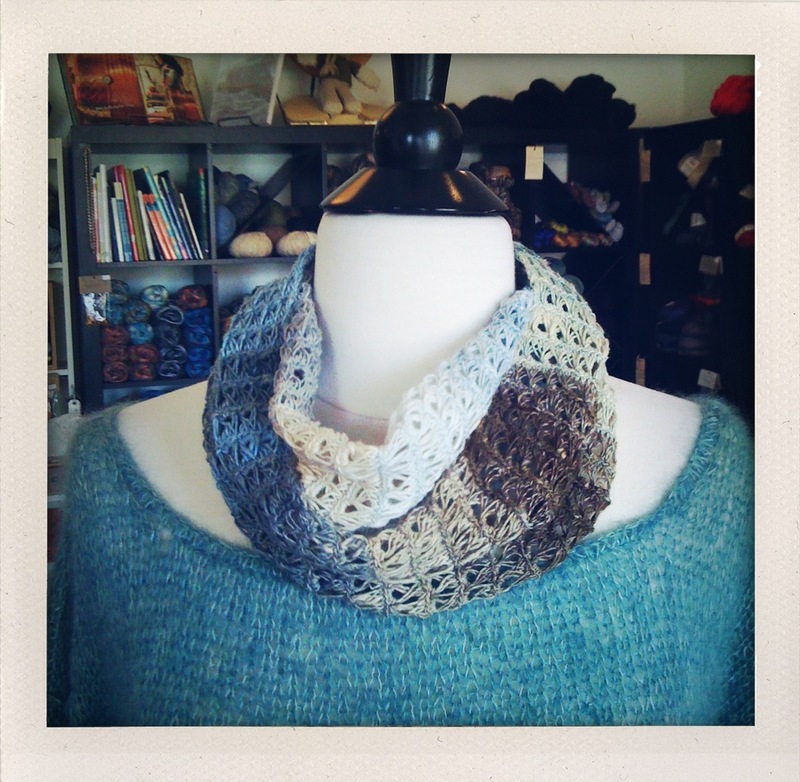 This Broomstick Lace Minifinity Scarf is a great way to explore broomstick lace. The piece is worked flat like a small, narrow, scarf, and then the ends are sewn together. Broomstick Lace is also called Jiffy Lace, referring to how quickly it can be made. It’s also known as the Peacock Stitch or the Peruvian Stitch. Now you should have 39 loops on your knitting needle. Row 1: Place remaining active stitch on the knitting needle in your left hand. That becomes your first loop. Using the crochet hook and working from left to right, *reach into the back half of each stitch with the crochet hook, pull up a loop, and place that loop onto the knitting needle. Repeat from * until you have 39 loops on your knitting needle. Row 2: Insert crochet hook into first 3 loops from above (as if to purl) and pull up a loop, making a slip stitch. Remove the 3 loops from the knitting needle. Work 2 sc into those 3 loops bunched together. *Insert crochet hook into next 3 loops, work 1 sc into the 3 loops. Remove the 3 loops from the knitting needle. work 3 sc into those 3 loops bunched together. Repeat from * across all the loops on the knitting needle. Repeat Rows 1 and 2 until piece measures 48″. 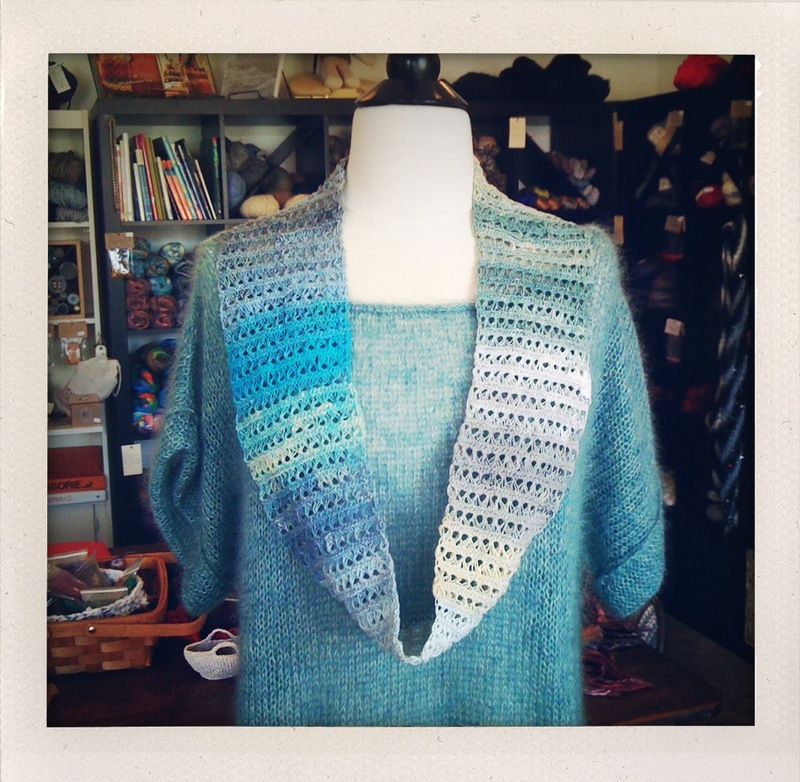 Cut yarn and pull through final loop, as you would finish any crochet piece. Sew the two ends of the piece to each other. Wow! That is beautiful. I especially like the graduated colours and the neatness – no fuzz like knitting. If I wasn’t missing the patience gene, I would make this.